Cerazette (Desogestrel) a type of female contraceptive frequently referred to as a mini pill. 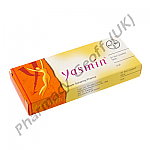 Desogestrel is the active ingredient and it prevents the egg from being released by the ovaries. The mucus is also going to be thicker and that reduces the chances of sperm from a male entering the vaginal area to the womb. What is Cerazette Used for? 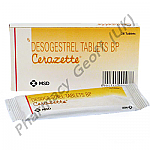 Cerezette is a type of contraceptive to help reduce the risk of unwanted pregnancy. Desogestrel doesn’t protect against STDs and it isn’t 100% guaranteed to prevent pregnancy. Some women use Cerazette to help with regulating their menstrual cycle. Cerazette is a daily pill that should be started the first day of your menstrual period. For the best results, it should be taken at the same time every day. Take the pill with a glass of water. You can take them with or without food. If you forget to take a pill, take the next scheduled one as you should. It is recommended to use an additional form of birth control such as condoms if you have missed a dose to reduce the risk of unwanted pregnancy. 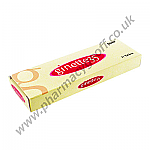 Most women are able to use Cerazette without difficulties associated with side effects. If you do experience side effects they should be mild and go away after a few weeks. This can include irregular bleeding, mood changes, headache, and lower than normal libido. Some women experience acne and weight gain. If you experience nausea, vomiting, or hair loss you should talk to your doctor. Taking this medication with food can reduce the risk of nausea and or vomiting. If your periods become extremely painful after you start this type of contraceptive make sure you let your doctor know. Seek immediate medical attention if you experience a rash or hives with the use of Cerazette. Talk to your doctor if you experience chronic fatigue, depression, or yellowing of the skin known as jaundice. Not all medications interact well so make sure you tell your doctor about everything you are taking. If you do become pregnant, stop taking this form of birth control immediately. Some studies show women who use oral contraceptives including this one may be at a higher risk of breast cancer. Women with a history of breast cancer or abnormal bleeding during the menstrual cycle shouldn’t use this medication.